See also companion paper on Australia's Uranium Mines. This table has been updated with data from Geoscience Australia and company sources. Figures may differ from older ones in the text, and not all deposits are written up below. Note that information on Ranger, Olympic Dam and Beverley are in a separate paper on Australian Uranium Mines. A ‘Mineral Resource’ is a concentration minerals in the Earth’s crust with reasonable prospects for eventual economic extraction. Mineral Resources are sub-divided, in order of increasing geological confidence, into Inferred, Indicated and Measured categories. An ‘Inferred Mineral Resource’ is that part of a Mineral Resource for which tonnage, grade and mineral content can be estimated with only a low level of confidence. The information on which it is based is limited, or of uncertain quality and reliability. An ‘Indicated Mineral Resource’ is that part of a Mineral Resource for which tonnage, grade and mineral content can be estimated with a reasonable level of confidence. It is based on exploration, sampling and testing information which is adequate to assume but not confirm geological and/or grade continuity. A ‘Measured Mineral Resource’ is that part of a Mineral Resource for which tonnage, physical characteristics, grade and mineral content can be estimated with a high level of confidence. It is based on detailed and reliable exploration, sampling and testing information with locations spaced closely enough to confirm geological and grade continuity. A ‘Mineral Reserve’ (or 'Ore Reserve') is the economically mineable part of a measured and/or indicated mineral resource. It allows for dilution and losses which may occur when the material is mined. Appropriate assessments and studies will have been carried out, and include consideration of realistically assumed mining, metallurgical, economic, marketing, legal, environmental, social and governmental factors. Mineral or ore reserves are sub-divided in order of increasing confidence into probable mineral/ore reserves and proved mineral/ore reserves. A ‘Probable Mineral Reserve’ (or Probable Ore Reserve) is the economically mineable part of an Indicated Mineral Resource. Studies to at least Pre-Feasibility level will have been carried out, demonstrating that extraction could reasonably be justified. A ‘Proved Mineral Reserve’ (or Proved Ore Reserve) is the economically mineable part of a Measured Mineral Resource. Studies to at least Pre-Feasibility level will have been carried out, demonstrating that extraction is justified. The Jabiluka 1 uranium deposit in the Northern Territory was discovered in 1971 by Pancontinental Mining Limited. In 1973 further drilling located the larger Jabiluka 2 uranium orebody about one kilometre to the east. Jabiluka lies 230 kilometres east of Darwin and 20 kilometres north of Ranger on the edge of the floodplain of Magela Creek, a tributary of the East Alligator River. It is surrounded by the Kakadu National Park, but the mine lease area is excluded from the National Park and adjoins the Ranger lease. Jabiluka 2 has resources in excess of 135 000 tonnes of uranium oxide, and is one of the world's larger high grade uranium deposits. An Environmental Impact Study was approved in August 1979. In August 1982 Mineral Lease MLN 1 was granted by the Northern Territory for a period of 42 years following the signing of an agreement with the Northern Land Council, representing the traditional Aboriginal owners. The agreement, approved by the Commonwealth Minister for Aboriginal Affairs, was to provide $10 million to local Aboriginal people up to the end of construction, then royalty-type payments of 4.5% of net revenue, increasing to 5% after ten years. No Aboriginal sacred sites would be disturbed. By the end of 1982 all necessary mining and environmental approvals had been obtained from governments for the underground mining of the Jabiluka 2 orebody and the Company had been cleared by the Commonwealth to seek sales contracts. Significant marketing progress was made, firm commitments being obtained for the supply of 15 600 tonnes of uranium oxide over ten years. However, with the Australian Labor Party coming to power in the 1983 federal election, Commonwealth approval was withdrawn and development ceased. In 1987 Pancontinental bought the 35% equity in the project then held by Texaco. In August 1991 Energy Resources of Australia (ERA), the operator of the adjacent Ranger mine, bought the Jabiluka lease from Pancontinental for A $125 million. In 1993 ERA undertook a feasibility study with a further drilling program on the orebody. This involved more than 12,000 metres of drilling, concentrating on the eastern half of the orebody (which was temporarily renamed North Ranger 2). As a result, ERA published proved and probable reserves of 19.5 million tonnes of ore at an average grade of 0.46% U3O8 containing 90,400 tonnes of uranium oxide. The study envisaged an underground mine, with ore being milled and treated at the existing Ranger site and tailings disposed of there. A total of only 20 hectares of land would be required for the surface facilities at the mine site, or 80 hectares including the haul road (wholly on ERA leases), compared with 820 hectares required under the previously-approved 1982 proposal. A new Environmental Impact Statement for mining the Jabiluka 2 orebody and milling the ore at Ranger was approved in October 1997, following public comment. A Public Environmental Report on the alternative of milling the ore at Jabiluka was approved in August 1998, conditional upon all tailings being emplaced underground. This completed the Commonwealth approvals process for the project. The Jabiluka mine development proceeded in 1998-99 with relevant agreements in place. However, mining was deferred until Ranger output starts to decline towards the end of its life, and until agreement could be reached regarding treatment of Jabiluka ore at the Ranger mill. The mine was developed with an 1150 metre access decline and a further 700 metres of excavation around the orebody. About 50,000 tonnes of mineralised material which was removed during development was stockpiled under cover on the surface. Development then ceased and the mine was put on standby with environmental maintenance and planning. In 2000, following intensive drilling from the underground access to the Jabiluka orebody, ERA revised the overall resource, with some reduction in actual reserves. Proved and probable ore reserves now stood at 11.8 Mt ore @ 0.50%, containing 59,000 tonnes U3O8. Additional measured and indicated resources were 21,700 tonnes U3O8 in 0.43% ore, and inferred resources a further 54,700 tonnes in 0.54%. All figures were based on a cut-off grade of 0.20%. In 2003 the Northern Territory government approved ERA's proposal for long-term care and maintenance of the Jabiluka site and this was implemented. The stockpiled mineralised material was backfilled into the decline and a similar quantity of waste rock joined it. ERA also undertook improvements to water management at the site. The new works were in line with the wishes of the Aboriginal traditional owners. They also improved the environmental management of the site and cost less than long-term management of the previous situation. ERA (whose parent company is Rio Tinto) will not proceed with the mine until there is agreement from the local Mirrar Aboriginal people. In 2012 and 2013 ERA quoted reserves of 67,700 t U3O8 in 0.49% ore, measured and indicated resources of 16,440 t in 0.36% ore, and inferred resources of 57,500 t U3O8 in 0.48% ore. At the end of 2015 the reserves had been reclassified as measured and indicated resources, now totalling 82,945 t U3O8 in 0.55% ore.
Koongarra is a small but relatively high grade uranium deposit in the Alligator Rivers of the Northern Territory. It lies some 30 km south of Ranger and 3 kilometres east of Nourlangie Rock. When the Kakadu National Park was set up in 1979, the land covered by the Koongarra Special Mineral Lease was excluded. However, the Lease area is on Aboriginal land. In 2013 federal legislation incorporated Koongarra into the Kakadu National Park. Koongarra was discovered by Noranda Australia Ltd in 1970. In 1980 Denison Australia Pty Ltd took over Noranda's interests in the deposit. In 1992 Total acquired a 70% interest in Koongarra, which was subsequently acquired by Cogema Australia Pty Ltd. In 1995 Cogema acquired the remaining 30% interest in the project. In 2006 Cogema mining operations became part of Areva NC. When Denison Australia took over the deposit, a draft EIS was submitted to the Federal Government. The final EIS was approved in 1981. Denison conducted a review of the project to minimise its impacts and this resulted in the definition of a 1050 ha project site extending into the National Park. This area was excised from the National Park by the Koongarra Project Area Act 1981, but the Act was never proclaimed. In the mid 1980s, and again in 1991, Denison negotiated Aboriginal agreements, but these did not receive the assent of the Federal Minister for Aboriginal Affairs. Development was stalled in 1983. Following the 1996 change of federal Government, all aspects of the project were reassessed by Cogema, but in April 2000 the (Aboriginal) Northern Land Council vetoed development of the project for five years. This veto was subsequently renewed, and remains in force. In 2010 the federal Labor government committed to incorporate the 1228 ha Koongarra project area into the Kakadu National Park, and in June 2011 UNESCO gave it world heritage listing. The upper orebody had proved and probable ore reserves with an average grade of almost 0.8% U3O8, containing 14,500 tonnes of uranium oxide accessible by open pit mining, and with associated gold. Proposed production was 1375 tonnes U3O8 per year. A poorly-defined lower orebody is estimated to contain 2000 tonnes U3O8 in 0.3% ore but did not form part of the reserves. Mount Fitch was discovered in 1965 and is part of the old Rum Jungle workings near Batchelor, 64 km south of Darwin. Compass Resources NL was active in the area for some years, primarily focused on the Browns deposit, a copper-cobalt-nickel deposit close to the old Intermediate open pit. In 2006 Compass reported resources of 4050 tonnes U3O8 at Mt Fitch, averaging 0.046%. In 2009 it went into administration. Vimy Resources acquired exploration licences in the Alligator Rivers area of Arnhem Land, due east of Darwin, including the Angularli deposit, from Cameco early in 2018. Angularli, at a depth of about 300 m, is part of the King River - Wellington Range project, a joint venture with Rio Tinto (25%). In March 2018 Vimy published a maiden resource figure of 11,750 t U3O8 inferred resources at 1.29%. In December 2018 Vimy reported on a favourable scoping study for developing the deposit as an underground mine. It could be intensively mined over three years and the ore processed over about eight years, with tailings backfill. It is less than 6 km from a previously-used barge landing point on the coast, giving wet season access. The Kuroikin, Aurari North, Such Wow and other prospects are 10-15 km south of Angularli. The Angela deposit, 25 km south of Alice Springs was discovered in 1973 and extensively drilled by Uranerz Australia in 1989, under a Uranerz-MIM joint venture which reported 11,500 tonnes of U3O8 at 0.10 to 0.13% (measured, indicated, & inferred resources), spread over 5.7 kilometres strike length in sandstone to a depth of 650 metres and open at depth. After Uranerz departed from Australia in 1991, Angela was held under a retention licence, but this was relinquished due to prevailing Labor Government policy. The NT government in February 2008 accepted a bid by 50-50 joint venturers Paladin Energy Ltd and Cameco Australia to explore the deposit with the adjacent Pamela deposit. The new Angela Project JV committed to spend $5 million on confirming the resources once a licence was issued, with a view to then undertaking a bankable feasibility study. It was expected to have a conventional hard rock mill and an alkaline leaching circuit, with production possibly in 2012. However, in September 2010 for political reasons the Northern Territory government refused to allow the Angela-Pamela project to proceed. This barrier has since been removed. In September 2011 Cameco handed over management of the JV to Paladin, and Paladin bought out Cameco’s share. In December 2016 Paladin sold the project to Uranium Africa Ltd. The JORC-compliant inferred mineral resource is now 11,870 tU @ 0.11%U. Bigrlyi is a series of discontinuous lenses outcropping over 12.5 km in hard sandstone along the northern edge of the Ngalia Basin in NT, 350 km NW of Alice Springs. Central Pacific Minerals NL in 1982 reported resources of 2181 tonnes U3O8 averaging 0.372% in eight separate lenses, the main mineral being uraninite, along with vanadium minerals. In mid 2008 indicated resources were 4050 tonnes U3O8 at 0.173% average (and 4000 t V2O5) and inferred resources of 6500 tonnes at 0.125%, with cut-off of 0.05%. Energy Metals, the operator, has announced good recoveries and relatively low acid consumption from metallurgical testwork. A proposed open cut mine is expected to produce at least 6800 tonnes U3O8 with similar amount of vanadium by-product over ten years. An additional 550 t U3O8 would be accessible underground. The deposit is held by a joint venture including Energy Metals Ltd (53.74%) and Valhalla Uranium (Paladin subsidiary). In 2009 a subsidiary of China Guangdong Nuclear Power Co bought 69.3% of Energy Metals, valued at $86 million. Energy Metals has an export permit which unusually is not tied to any particular deposit or source (in December 2011 it announced the sale of 68 tonnes of U3O8 to its parent company, for shipment early in 2012). In December 2016 Paladin sold its 41.17% share of the project to Uranium Africa Ltd.
A pre-feasibility study in 2011 showed that the project was technically viable but not economically so at present prices and quantities. At 0.05% cut off, resources amounted to 7700 t U3O8 indicated and 5400 t inferred at 0.082%, with associated 16,700 t vanadium, amenable to open pit mining. This is a deposit of rare earths (REE), about 135 km north of Alice Springs, and has some uranium as potential by-product. Arafura Resources intends to develop it as a rare earths mine. It has predominantly light REEs, and plans to process its concentrate at Whyalla to produce 20,000 t/yr rare earth oxides, 150 t/yr U3O8, plus phosphoric acid and gypsum co-products. The Napperby project in the Northern Territory, 150 km northwest of Alice Springs, is an historic uranium prospect, comprising an extensive near-surface, consistent mineralised zone that is relatively low grade calcrete, but is close to infrastructure. An inferred resource of 670 tonnes in 0.36% ore over one kilometre of paleochannel was reported in 2006. Toro Energy took over the project from Deep Yellow, with an option to purchase, and better defined the resource with a view to mining it. The inferred resource figure was increased to 3350 tonnes at 0.036% U3O8 in March 2009, and a scoping study was undertaken. As a result of this, completing the purchase at $57 million could not be justified and the project reverted to Deep Yellow. In 2016 Deep Yellow relinquished the exploration licence. Honeymoon itself was discovered in 1972, about 75 kilometres north west of Broken Hill, 30 kilometres inside South Australia. MIM Holdings Ltd bought out CSR Ltd's 34.3% share in 1988. In 1997 Sedimentary Holdings NL reached agreement with MIM to acquire the Honeymoon leases next to its own East Kalkaroo deposit on the Yarramba palaeochannel. The 1997 agreement also included acquisition of the Gould Dam-Billaroo West leases 80 km northwest of Honeymoon. That 1997 agreement initially brought together known uranium resources of about 4200 tonnes U3O8 averaging 0.11% and amenable to in-situ leaching. The purchase was funded by Southern Cross Resources Inc. of Toronto. Sedimentary Holdings progressively reduced its share in Southern Cross and sold the last 7% in September 2004. Mineralisation at Billeroo West (including Gould Dam) in the Billeroo palaeochannel is similar to that at Honeymoon. Following exploration late in 2004 of one kilometre of palaeochannel using prompt neutron fission technology, the indicated resource was stated as 2000 t U3O8 at an average GT of 0.33 m% or 0.12% U3O8. Much of the palaeodrainage system there is untested. In 2004 the company revised development plans down to a 400 tpa plant at Honeymoon, but development was deferred pending higher uranium prices and the outcome of further exploration at Gould's Dam. In December 2005 Southern Cross Resources was taken over by Aflease to form Uranium One Inc. In August 2006 Uranium One announced that development of Honeymoon would proceed as a 400 t/yr ISL mine. In October 2008 the company announced a joint venture with Mitsui (49%) to complete development of the project. Similar joint ventures with Mitsui would apply to Gould Dam and Billeroo, but in 2012 Mitsui withdrew from the arrangement. Early in 2009, a 20% share in Uranium One was taken by three Japanese companies as Japan Uranium Management Inc (JUMI), giving (with Mitsui's 49% then) total 59% Japanese equity in Honeymoon and Gould Dam. (JUMI comprises Tepco, Toshiba and Japan Bank for International Cooperation.) As of 2009, 51% of Uranium One was owned by Russia's ARMZ, but in 2012 ARMZ moved to buy out all other shareholders. In 2015 Boss Resources Ltd based in Perth bought Uranium One Australia Pty Ltd which owned Honeymoon and associated deposits. Parent company Uranium One Holding NV is based in Europe and owned by Russia’s ARMZ. Boss agreed to pay A$ 11.5 million in staged payments plus up to $3 million from operating cash flow. Four Mile comprises two or three deposits 5-10 km NW of the Beverley mine and these are being explored and mined by Quasar Resources Pty Ltd (a subsidiary of Heathgate Resources). The extended Beverley North mine lease is contiguous. Alliance Resources Ltd is a 25% free carried joint venture partner. There are three deposits: East (now being mined), West, and Northeast (still being quantified). 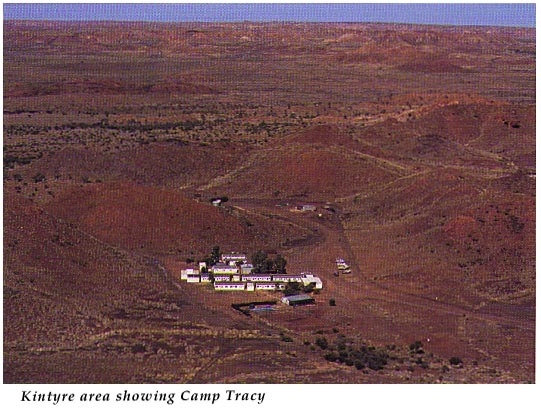 See Beverley and Four Mile section of the companion paper on Australia's Uranium Mines. Working with data from earlier drilling campaigns, Marathon Resources quantified the uranium resources of the Paralana ore system comprising a number of uranium and polymetallic orebodies spread over 12 km in the north Flinders Ranges of South Australia. The Mt Gee deposit is part of the Paralana minerals system which is mostly low-grade but with some higher-grade portions. Other orebodies in the system are also prospective. The area had been drilled extensively since 1968 by Exoil, CRAE (Rio Tinto) and Goldstream. In 2007 Marathon initiated a pre-feasibility study and an environmental impact study for underground mining at Mt Gee. In September 2008 the company announced a revised resource estimate with indicated resources of 2800 tonnes and inferred resources of 28,500 tonnes U3O8, with 0.03% cut-off. The Mt Gee - Mt Painter mineralisation is the source of uranium in the palaeochannels around Beverley, a few kilometres east. A large area including most of the Yarramba palaeochanel north of Honeymoon- East Kalkaroo was held by Havilah Resources but was floated as Curnamona Energy Ltd in 2005, with Havilah now holding 45% of the company. In 2012 it bid to buy out other shareholders. The Oban deposit 60 km north of Honeymoon is hosted by an extensive bed of Tertiary sand. It was explored by Marathon Petroleum Australia Ltd in the early 1980s with a best result of 3 metres grading 0.12% U3O8. Paladin Resources Ltd carried out additional drilling in the area in the late 1990s. The mineralisation is mostly very thin and occurs at 80-90 metres depth and is discontinuously developed over 3 km in a carbonaceous and pyritic sand unit. It has typical roll front characteristics. Most of the deposit is held under a retention lease. In March 2009 approval was given for a field leach trial to enable resource figures to be published. The trial showed that acid leaching was unproductive. Curnamona earlier quoted a 2100 tonne U3O8 inferred resource there. Uranium mineralisation in the Olary area of SA (Curnamona province) was investigated 1951-78 by the SA Mines department and private companies, and the Crocker Well deposit went through to a feasibility study then. This uranium field has six deposits over 4 sq km. Inferred resources are 6740 t U3O8 (12.5 million tonnes @ 0.05% U3O8 with cut-off of 0.03%). The Mt Victoria deposit 7 km away has an inferred resource of 400 t (0.25 Mt grading 0.16%). Mineralisation at Crocker Well is primarily thorian brannerite in igneous rock, with some davidite, while that at Mt Victoria is davidite. Together they comprise the main part of the Curnamona Province Project. PepinNini Minerals Ltd now holds both deposits and adjacent prospective ground. Other hard rock outcrops in the area grade up to 2.1% U3O8. With a cut-off of 0.025% the total inferred resource is 8576 t U3O8 at average 0.048% grade. In March 2006 a JORC-compliant inferred resource of 6750 t was quoted with grade of 0.05% for Crocker Well. A scoping study for 500 tU/yr production encouraged the company to proceed with upgrading the resource to measured or indicated status and quantifying further mineralisation. Resource verification was due to be complete in July 2008. Metallurgical testing shows good potential for ore beneficiation prior to treatment, and also that hot leaching gives good recoveries. In June 2007 Sinosteel Corporation of China committed $40 million for a 60% stake in PepinNini's Curnamona Project as a joint venture partner. Sinosteel committed $11 million to explore and develop the project to mid 2009. Of this, $5 million was spent on exploratory drilling and metallurgical testing at Crocker Well, together with a process of regulatory approvals and a Bankable Feasibility Study which is now underway. Application for a mining licence was lodged in September 2008. In December 2009 PepinNini announced that preliminary financial modeling of the Crocker Well project indicated that it was not currently viable, and that PepinNini and Sinosteel were delaying completion of the bankable feasibility study "until there is a substantial increase in the price of uranium and improvement in the US dollar." UraniumSA Ltd in 2007 announced JORC-compliant inferred resources of 21,000 t sediment-hosted U3O8 at its Mullaquana/Samphire project south of Whyalla on the Eyre Peninsula. The Blackbush orebody (14,850 t U3O8 @ 0.023%) which is almost entirely coffinite has average thickness of 11.7 metres, and most is less than 50 m deep. The Plumbush orebody (6300 t @ 0.029%) is 8 km south of it. Both are amenable to ISL mining, though the aquifers are very saline. In 2011 further resources, some high-grade, were identified in or on the granite basement. In 2011 Samphire Uranium Pty Ltd applied to begin trials with a view to bringing Blackbush into production, but the discovery of basement mineralisation opened up the prospect of open pit mining. In 2016 Samphire Uranium was spun off as an unlisted public company. The focus is on Blackbush. This is a major polymetallic deposit 100 km southeast of Olympic Dam, on the western shore of Lake Torrens. Specifically, it is an iron oxide-copper-gold deposit similar geologically to Olympic Dam, but deeper (below 470 m) and possibly more complex metallurgically. It was bought by Oz Minerals in March 2011 for US$ 325 million from Teck Resources and a private prospector who discovered it in 2005. It is 250 km southeast of Prominent Hill and in the southern portion of the deposit it has an inferred resource of 55,000 tonnes U3O8 at 0.0155%-0.022%, as potential copper byproduct. Ore reserve estimates since 2013 give no figure for uranium. In 2017 the company noted that uranium was “expected to be partially recovered into the concentrate produced, and may attract a commercial penalty to the price received,” but should not require a treatment plant to remove it. In April 2018 Oz Minerals awarded a $660 million mining contract to Downer EDI, with project commissioning expected at the end of 2019. The Khamsin iron oxide-copper-gold orebody 10 km northwest of Carrapateena discovered in 2012 has 0.0086% uranium (March 2014). Minotaur Resources Ltd proved up a significant mineral resource in the Gawler Craton, some 150 km NW of Olympic Dam. In 2001 copper-gold mineralisation in iron oxide similar to Olympic Dam's was discovered under 100 m of sedimentary cover by the Mount Woods joint venture, and Minotaur subsequently bought out the other parties, notably BHP-Billiton. Oxiana Ltd then farmed in towards earning 65% of the project by spending $34 million in staged exploration and evaluation. In 2005 Minotaur resources was acquired by Oxiana Ltd, which subsequently became Oz MInerals. As of August 2004 an inferred resource of 97 million tonnes at 1.5% copper, 0.5 g/t gold and 103 ppm uranium was in the upper chalcocite. In deeper chalcopyrite, uranium runs to 120 ppm. This amounted to less than 10,000 tonnes U, with unknown mineralogy and hence uncertain recovery. In 2010 the company said that the uranium was not included in resource figures because it was not foreseeably economic. In April 2018 Oz Minerals completed the closure of the open pit after ten years' production, as underground development intensified. Marmota Energy is exploring the Junction Dam deposit 10 km east of Honeymoon and 50 km west of Broken Hill. Marmota’s Junction Dam and Mulyungarie tenements cover up to 20 kms of the eastern extension of the Yarramba Palaeochannel which hosts Honeymoon. About 1500 t U3O8 inferred resources have been identified so far at relatively high grades. * The Rudall River National Park is surrounded by vacant crown land and has boundaries defined arbitrarily by latitude and longitude rather than natural features. It was established in 1977 to preserve and demonstrate an arid desert dry river ecosystem in the Eastern Pilbara region. Mineral exploration was permitted within it. However, the Kintyre orebody is outside the catchment area which the Park had been intended to protect. In 1991 Rio Tinto Exploration received the WA Minister for Mines' Award for Environmental Excellence "for the overall commitment of exploration staff to minimising the impact of exploration activities at Rudall River whilst under critical community scrutiny and for progressively rehabilitating all areas disturbed during exploration, as an integral part of the overall exploration programme." In April 1994 the state government excised an area of 15,100 hectares from the Rudall River National Park, including the Kintyre project area. At the same time a strip of land of 15,400 ha was added to the western boundary of the Park, part of the river system that the park was set up to protect. Canning Resources Pty Ltd was the Rio Tinto company which in association with Rio Tinto Exploration took over the role of assessing the feasibility of bringing a mine into production. By 1988 reserves of some 24 000 tonnes of uranium oxide (in association with other minerals) had been delineated, with a further 12 000 tonnes of inferred resources, in several contiguous parts of the orebody, with a grade of 0.2-0.4% U3O8 and a cut-off grade of 0.05%. This showed that development was feasible. Production of 1800-2000 tonnes of uranium oxide concentrate per year was envisaged, with open pit mining. The vein-type nature of the orebody makes it possible to use radiometric ore sorting so that the mill feed is effectively very high grade, which results in lower processing costs and a compact treatment plant. The total area disturbed by the proposed mine and treatment plant, including up to five small open cuts, would be about three square kilometres (300 ha), with the treatment plant occupying about six hectares. An additional 100 ha would be required for infrastructure. Tailings would be in two streams, both as filter cake, to be buried in purpose-built disposal facilities or in a mined-out pit. The first stream would be a conventional residue from acid leaching, containing most of the ore's radioactivity. The second would be mixed gypsum and iron hydroxide from an iron precipitation stage. The other eventual waste would be some evaporite from process liquors which cannot be recycled. There would be no tailings dam. Due to low international uranium prices and other outstanding approval requirements, the project was wound down in 1997 and then decommissioned and rehabilitated in 2002. In July 2008 Cameco (70%) and Mitsubishi (30%) agreed to buy Kintyre for US$ 495 million, conditional upon state government approval for the sale and agreement with the Martu traditional owners. Cameco Australia is operating the project and a $9 million exploration program to confirm ore reserves commenced in July 2009, with feasibility study to follow, envisaging production of 2700 to 3600 t U3O8 per year for 15 years. In March 2011 indicated resources were updated, and in December 2015 were 25,274 t U3O8 at 0.62%, with inferred resources of 2700 t at 0.53%. In mid-2012 Cameco put the project on hold pending firmer uranium prices or lower development costs, but continued work on the environmental review process. The state government gave environmental approval for the project in March 2015, and the federal government followed in April. In January 2013 Cameco wrote down the value of its investment in the project by $168 million, and late in 2016 it wrote off C$238 million as the balance of its interest in Kintyre. It has until 2018 to submit a development proposal for the mine. The Yeelirrie deposit is between Wiluna and Leinster, WA, about 420 kilometres north of Kalgoorlie and close to the Goldfields gas pipeline. Western Mining Corporation (WMC) discovered the shallow and extensive deposit in 1972. It is reputedly the world's largest sedimentary calcrete deposit of its kind. The uranium mineralisation is carnotite (hydrated potassium uranium vanadium oxide). In 1978 Esso was brought into the project and given 15% equity in return for a commitment to fund 80% of the Stage I feasibility study and pilot plant, then costed at A$ 21 million. Esso withdrew in May 1982 for commercial reasons and the share reverted to WMC. In 2005 ownership transferred to BHP Billiton Ltd, and in 2012 to Cameco. The deposit extends over 9 kilometres, is up to 1.5 kilometres wide, up to 7 metres thick and with an average depth of about 7 metres of overburden. It comprises measured and indicated resources of 58,000 tonnes of uranium oxide with an average grade of 0.16%, JORC-compliant as of late 2015. It could support a low-cost mining operation with vanadium oxide by-product. An environmental impact statement was produced in 1978 and resulted in environmental approval from both state and Commonwealth governments. In the twelve years to 1983 WMC and its partners (then including Esso) spent a total of $35 million preparing to develop Yeelirrie as an open cut mine, including building and operating the pilot metallurgical plant at Kalgoorlie. A $320 million project was envisaged and sales contracts were being planned. However, the 1983 federal election and implementation of the ALP "three mines policy" meant that permission to negotiate sales contracts was withdrawn in March 1983. Plans were then abandoned, and WMC focussed on developing Olympic Dam. A new state Labor government was elected in 2002 with an ideological anti-uranium stance. Pursuant to this, the 1978 state mining agreement for Yeelirrie was revoked in March 2004. However, WMC Resources and its successor BHP Billiton retained the mining tenements and awaited future opportunities after undertaking rehabilitation of the site by the end of 2004. In 2008 a change of state government reopened the possibility of development, and BHP Billiton listed it as an "outstanding long-term opportunity". It followed this with a new program to better define the ore resource and engage in community consultation. In May 2009 application to commence the process of environmental approval was lodged with the federal government, envisaging 2000 t/yr production from 2014. The government required a full environmental review and management plan (ERMP) to be carried out afresh. In February 2010 approval was sought for production at 3500 t/yr U3O8, after heap leach trials showed that this treatment (allowing higher production rate) would be uneconomic. In 2011 the project was wound down and the ERMP was deferred. In 2012 the project was sold to Cameco for US$ 430 million. Cameco said that economics of the project looked better than Kintyre’s. In November 2014 Cameco requested the WA EPA to cancel the 2009 environmental application, and submit a new one involving production of up to 7500 t U3O8 per year, and to assess the application under new 2012 EPA procedures. In September 2015 it released a preliminary environmental review (PER) for a 22-year operational mine life, including three years pre-production, and ramping up to 7500 t U3O8 per year, but average over 15 years of 3850 t U3O8 per year. In August 2016 the EPA reported that one environmental factor – subterranean fauna – did not meet its objectives due to “the removal of habitat during mining and temporary removal of habitat (for stygofauna) during dewatering." It said: "There remains too great a chance of a loss of species that are restricted to the impact area and therefore considers that the impact is such that the proposal should not be implemented." However, the government in January 2017 gave approval for the mine after imposing a number of conditions to meet the EPA concerns. Cameco's proposed two open pits at Yeelirrie would total some nine kilometres in length, be up to 1.5 km wide and up to 15 metres deep. Their construction would involve the direct disturbance of 2422 hectares of land. The open pits would be dewatered, mined and backfilled progressively throughout the life of the mine. The ore and waste rock would be stockpiled near the open pit. Ore would be processed using an alkali tank leaching process, and waste rock backfilled into the pit. The uranium oxide concentrate would be transported by road to the port of Adelaide for export. Cameco has no immediate plans to mine the deposit. Lake Way, Centipede and Millipede comprise the core of Toro Energy's Wiluna Uranium Project. However, Toro’s acquisition of Lake Maitland in 2013 enabled a complete revision of development strategy, due to significant increase in grade at the plant. For the first ten years the average head grade increases from 0.072% to 0.088%, and production of 900 t/yr U3O8. The total resource base in February 2016 was 38,000 tonnes at 0.048% U3O8 with 200 ppm cut-off. Of this, 18,000 tonnes at Centipede, Millipede, Lake Maitland and Lake Way is measured and indicated resources with average grade of 0.0951% U3O8 and 500 ppm cut-off. With 200 ppm cut-off there is 27,400 tonnes U3O8 measured & indicated resources in these deposits at lower grade, about 0.053%. In May 2016 Toro announced results from beneficiation test work on Lake Maitland ore, but relevant also to Centipede, Millipede and Lake Way. Using screens and cyclones to reject 80% of the mass with 90% recovery, ore at 0.22% was beneficiated to 0.997% U3O8. The samples concerned represented about 60% of Lake Maitland ore. Toro has also tested Marenica’s U-pgrade beneficiation technology which has been effective on carnotite in Namibian deposits, but has adopted a different beneficiation method, delivering a 75% mass reduction with 84% uranium recovery. * Delhi International Oil Corporation (53.5%) and Vam Ltd (46.5%) were joint venturers initially, but Asarco Australia Ltd bought out its partner and in 1994 became Wiluna Mines Ltd, whose main focus is on gold. Acclaim Uranium held the deposits in the 1990s but Nova Energy Ltd had them by 2006, and then merged with Toro Energy. In 2011 Toro purchased the uranium rights in the Millipede tenements, adjacent to Centipede, for $4.5 million. Lake Way is a very shallow low-grade carnotite deposit in calcrete and clays. It averages 1.5 metres thick but ranges up to 5 metres below the surface. It was to have been mined by four or more pits over some 9 square kilometres, but plans were abandoned in 1983. The Centipede calcrete deposit is 12 km south of the Lake Way deposit. It consists of two or three lenses of 1 to 5 metre thick mineralisation containing carnotite through the carbonate matrix of a chemical delta where a 30 km drainage system enters Lake Way. Millipede is similar, and connected to Centipede. Toro Energy undertook feasibility studies for shallow low-cost open cut mining of these three deposits. The ore requires a carbonate high-temperature leach plant, at about 92ºC, alkaline heap leach having been tried and rejected. Recovery of 86% has been demonstrated in the pilot plant. In November 2013 Toro reported JORC-compliant measured and indicated resources of 13,900 tonnes U3O8 at 0.055% average with 200 ppm cut-off for the three deposits, 40% of this in Lake Way. It holds mining leases for Centipede and Lake Way, and awaits one for Millipede. The Dawson-Hinkler Well deposit near Wiluna has a JORC-compliant indicated resource of 2800 tonnes U3O8 with average grade 0.037% U3O8, at 200 ppm cut-off, plus some inferred resources. The deposit is in the same palaeochannel as Centipede and Millipede deposits 20 km east. The deposit occurs over 15 km strike length, and selective mining was planned with 1:1 waste to ore strip ratio. In 2010 Toro Energy bought the deposit for A$ 6.2 million, thereby increasing its Wiluna resources by one quarter to 13,800 t.
Nowthanna is south of Meekatharra and has 5400 tonnes U3O8 at 0.04% inferred resource, but with a core of 0.08% material which could be economic to truck 150 km to the Wiluna treatment plant. It was purchased by Toro for $2 million in 2011-12. In November 2009 Toro acquired the Firestrike tenements, 20 km SE of Centipede. No resource figures have been published. Toro’s total regional resources for six deposits including Dawson-Hinkler, Nowthanna and Lake Maitland (see below) in November 2015 were 29,300 t U3O8 measured and indicated resources grading 0.053%, including a high-grade portion of 16,860 tonnes at 0.92% (with 0.05% cut-off). Including inferred resources, the project total in October 2015 comes to 36,600 t U3O8 grading 0.0485%. Lake Maitland has made the Wiluna project a higher-grade and longer-life prospect. Toro undertook a bankable feasibility study, and in October 2012 the state government gave final environmental approval to the Centipede-Lake Way part of the project. In February 2014 Toro applied for environmental approval for mining Millipede and Lake Maitland, using the planned processing plant at Centipede. An environmental scoping document on this was approved in February 2015. In September 2016 the state EPA recommended expanding the earlier approval to incorporate Millipede and Lake Maitland, with a haul road from Lake Maitland, enabling the four orebodies to be developed coherently. The state government approved this in January 2017. Federal government environmental approval covering the four deposits and related infrastructure including a haul road from Lake Maitland was granted in July 2017. The priority will be mining the high-grade parts of the deposits, giving a feed grade of 0.088% U3O8. Centipede-Millipede will be mined first, then Lake Maitland, then Lake Way. Production of 900 t/yr U3O8 (770 tU/yr) over some 16 years is planned. Project cost is put at $316 million, and operating costs US$ 31/lb. In July 2016 a mining agreement with the Aboriginal traditional owners was signed. Environmental approval will later be sought for Dawson-Hinkler and Nowthanna. Later Firestrike and Albion Downs will come into the picture. The Wiluna project is stalled pending improvement in uranium prices. Several shallow calcrete deposits are under agreement to be acquired by Toro Energy at Lake Maitland, 90 km SE of the Wiluna project. Carpentaria Exploration, Esso and then Acclaim Uranium evaluated these in the late 1990s. In 2006 Mega Uranium Ltd acquired Redport Ltd, which then held the deposit. In February 2009 it agreed to sell a 35% share of the project to the Itochu Corporation (10% of Japanese share) and Japan Australia Uranium Resources Development Co. Ltd. (JAURD), acting on behalf of Kansai Electric Power Company (50%), Kyushu Electric Power Company (25%) and Shikoku Electric Power Company (15%) for US$ 39 million. The deposit underlies the northern end of Lake Maitland itself. The mineralised zone is about 6 km long and 300-600 m wide, 1.5-2.0 m below the surface and average 1.7 m thick. Mine depth will average 4 metres. In 2013 Toro confirmed a NI 43-101 compliant indicated resource of 11,000 tonnes U3O8 grading 0.0555%, at 200 ppm cut-off. In February 2016, 7680 tonnes of higher-grade material at 0.0929% (500 ppm cut-off) was confirmed, which can be blended with Wiluna ore. The ore is very similar to that at Wiluna. Beneficiation trials show an upgrading to 1% compared with feed grade of 0.2% from the main ore type. In September 2009 Mega was awarded a mining lease, and a definitive feasibility study was under way for a 750 t/yr operation. Toro’s immediate focus is to improve the geological understanding of the deposit, integrate it into the broader Wiluna Project mine scheduling and design work, optimise mine planning, and progress environmental approvals. See also paragraph on beneficiation above, under Wiluna. The Theseus prospect is part of Toro Energy's Lake Mackay Project, located 650 kilometres west of Alice Springs but inside the WA border. Toro is evaluating two palaeochannel mineralisation models with PFN tool: a Kazakhstan style 'tabular model' and a Beverley style 'roll front model', both of which could be amenable to ISL mining at 100-125m depth. There are positive intersections and resource figures are expected in 2012, with 'exploration target' of 10,000 to 20,000 tonnes U3O8 at 0.04 to 0.05%. Good grades extend over several kilometres. Toro expects to boost Wiluna production from Theseus as an early stage operation. The Mulga Rock polymetallic deposits 250 km north east of Kalgoorlie were discovered by PNC Exploration in 1979 and are being developed by Vimy Resources. In 2006 the project passed to Energy & Minerals Australia when it acquired Narnoo Mining. Energy & Minerals Australia changed its name to Vimy Resources in December 2014. Mulga Rock East comprises the extensive Ambassador and small Princess deposits, Mulga Rock West the Emperor and Shogun deposits, the first two with 63% of the resources being some 20 km from the others and the four covering some 7 square kilometres. Mineralisation consists principally of uranium, scandium, nickel and cobalt in lignite within a sedimentary basin. The orebodies are a major scandium resource, though this does not feature in economic feasibility. Ore thickness is 0.5 to 5 metres at depths of 35-45 m.
Three Mulga Rock deposits are hosted in lignite, though there is sandstone-hosted mineralisation beneath and near Ambassador. In addition there are large (totalling over 500 million tonnes) lignite deposits – one below and adjacent to Emperor, the other 12 kilometres south of Emperor. These lignites contain kerogens (a precursor to hydrocarbons). The small Princess deposit contains thick continuous mineralization in soft sediments no more than 66 metres deep, mineable by open pit. A preliminary feasibility study on the Ambassador deposit earlier indicated that an open pit producing four metals including 200 tpa scandium oxide over ten years should be viable. The other deposits could double mine life. Metallurgical studies showed high recoveries of uranium and scandium using acid leach and solvent extraction. In October 2017 Mulga Rock East had 18,000 t U3O8 proved and probable reserves at over 0.085%, plus 6,400 t inferred resources at 0.042%, in Ambassador and Princess. Mulga Rock West had 1230 t U3O8 probable reserves at 0.076% in Shogun, and 13,500 t inferred resources at 0.044% in Emperor. The cut-off grade in all deposits is 0.015%. Vimy intends to mine the 9 km long Ambassador deposit first, with progressive open pits to 32 m depth, with no blasting required. Four pits in high-grade ore (0.15%) will be the focus of initial mining during the project payback period. The plant will be located adjacent to Ambassador and Princess, being fed from both East deposits over the first 13 years. MRWest will have shallower pits. Tailings disposal will be in mined-out pits, with progressive rehabilitation. Ore beneficiation by a factor of about three using screening or gravity separation is planned, followed by acid leaching and resin-in-pulp (RIP) ion exchange. The company reports that the uranium metallurgy is simple and proven. Copper, zinc, nickel and cobalt recovery is from RIP tailings. Uranium recovery is 85%, to contribute most of the revenue. A public environmental review was undertaken in 2015, and following EPA environmental clearance in August, the state government approved the Mulga Rock Uranium Project in December 2016 for production of 1360 t/yr U3O8. Federal government approval followed in March 2017. Cobalt, copper, nickel and zinc are listed as by-products, but not scandium. A definitive feasibility study completed in January 2018 suggested annual production of 1590 t U3O8 over 15 years. Estimated capital cost was A$493 million, and cash operating cost was US$25/lb U3O8 for the first five years. The Double 8 deposit is about 40km southwest of Mulga Rock. The deposit was found by PNC Exploration in the mid-1980s, and further analysis of original cores was undertaken over 2008-09. It was acquired by Uranio Ltd from Paladin in 2008. It is in the Ponton palaeochannel system and within a nature reserve. In May 2008 Uranio merged with Manhattan Resources and became Manhattan Corporation. In 2018 the company plans to acquire Trans Tasman Resources Ltd (TTR), which is developing offshore iron sands resources in New Zealand. Following the acquisition, the merged company will be renamed TTR Corporation Limited. The Ponton project is now centred on Double 8 and includes the contiguous Stallion South, Highway South and Ponton deposits in the same palaeochannel system. Double 8 has JORC-compliant inferred resources of 7820 tonnes U3O8. Stallion, Highway and Shelf each have 800 to 1500 tonnes inferred. This deposit was discovered in 1974 in the northern part of the Carnarvon Basin, 85 km south of Onslow in Western Australia. It occurs in sandstones and siltstones at a depth of 60-110 metres, and seven mineralised rollfronts extend over 7 km but one third of the deposit occurs in 1.5 km2. Two pumping tests and one five-spot in situ leaching test have been run to evaluate whether the ore is amenable to in situ leaching and whether the leach solutions can be confined. Subsequent monitoring confirmed that there was no environmental contamination from these tests. Development was suspended due to federal Labor Government policy on uranium. The project is covered by three mining leases granted in 1989. Following the transfer of Total's worldwide uranium assets to Cogema in 1993, the deposit became owned 92.3% by Afmeco Mining and Exploration Pty (AFMEX), a subsidiary of Cogema Australia, in joint venture with Urangesellschaft Australia Pty Ltd (7.7%). They sold the deposit to a wholly-owned subsidiary of Paladin Resources in 1998 for A$ 3.25 million plus 1% royalty, which in 1999 was renegotiated to $1 million plus $0.75 million on project approval plus increased but capped royalties. Paladin had hoped to bring the deposit into production in about 2005, but has concentrated on its African prospects while WA government policies precluded uranium development. In mid-2016 Paladin Energy sold a 30% interest in the project (excluding Carley Bore) to Sydney-based MGT Resources for $10 million. MGT will then form a joint venture (Manyingee JV) with Paladin, and have the option to acquire another 45% share for $20 million. MGT changed its name to Avira Energy in January 2017, but then failed to complete the transaction. The previous owners spent A$16 million and defined a resource of 7,860t U3O8 at 0.12% U3O8. A revised resource model was developed by Paladin through re-interpretation of the drill data, distinguishing three geological environments. The indicated resources determined from this work and updated in January 2014 (from 2012 drilling) stands at 7120 t U3O8 at 0.085% U3O8 and 4600 t U3O8 at 0.085% as inferred, with 250 ppm and 0.2m cut off. Completion of a field leach trial in 2017 is seen as the next step towards development. This is now a potential satellite operation of Manyingee. Energia Minerals Ltd has reported a JORC-compliant inferred resource of 7100 tU3O8 at 0.031% (February 2014) for the Carley Bore deposit in its Nyang project, in the Carnarvon Basin 100 km south of Manyingee, and 150 km southeast of Exmouth. One-third of this is indicated resources. The mineralisation covers 1.9 km of palaeochannel in a roll-front deposit. Minatome and other companies have explored the area since 1978, and in 2006 Carbon Energy acquired the tenements, undertook further work to define the resource, then spun off its uranium assets in 2009 as Energia. Cauldron Energy in March 2013 made a takeover offer for Energia, and this was extended several times before failing. In May 2015 Paladin Energy agreed to acquire three Energia tenements including the deposit for a total consideration of A$ 15.8 million, with a view to it being a satellite operation from Manyingee. Indicated resources of 1900 tU (in two areas about 3 km apart) and inferred resources of 4100 tU were quoted at the time. Cauldron Energy Ltd has announced JORC-compliant indicated resources of 8200 tonnes U3O8 and inferred resources of 5800 tonnes U3O8, average 360 ppm, at three Bennet Well deposits in its Yanrey project area, 15 km southwest of Paladin's Manyingee and 125 km north of Paladin's Carley Bore deposit. These are at 60-100 m depth and amenable to ISL mining. In June 2014 it announced $11 million funds from Chinese investors to define the resources. This was followed by $4 million from another Chinese investor, and $2.5 million in November 2016. A takeover offer for Energia was declined in May 2014. The company was granted further exploration licences to the north of Bennet Well in January 2015. In January 2016 the government prioritised approval for the Bennet Well project. Field tests have shown 95% uranium recovery with acid ISL. This deposit occurs in a zone averaging two metres thick in sandstone, 75 kilometres northeast of Derby in Western Australia. The deposit was held owned by Afmeco Mining and Exploration Pty Ltd (AFMEX), a subsidiary of Cogema Australia, but was sold to a wholly-owned subsidiary of Paladin Resources in 1998 for A$ 0.9 million plus 1% royalty. It is held under two exploration licence applications. The inferred resource calculated by AFMEX is 9950 tonnes of uranium oxide at 0.12 % U3O8, with cut off of 0.03%, though this does not conform to JORC criteria. In situ leaching appears to be the most likely method of extraction and some pump test work has been done. In December 2016 Paladin sold the project to Uranium Africa Ltd. This is a shallow paleaochannel deposit in WA, north of Mulga Rock and east of the main calcrete deposits such as Lake Maitland. It is primarily carnotite hosted within calcrete and silcrete less than 20 metres deep and extending over 8 km. The main part of the deposit is held by Uranex NL and June 2012 figures give 11.6 million tonnes averaging 425 ppm, hence 4900 tonnes contained U3O8 as a JORC-compliant inferred resource at 150 ppm cut-off. In August 2011 Shanghai Zhongfu Group agreed to pay $20 million for all Uranex's Australian assets, principally this, but then pulled out. Uranex is seeking buyers for this deposit as a ‘non-core asset’. This is a project being explored by Mindax and is part of a broader Yilgarn-Avon Joint Venture with Quasar Resources (33%). It is about 300 km east of Perth in the wheatbelt region of WA. This deposit was discovered 40 km north of Mount Isa about 1954 by a prospector. MIM took it over and sunk an exploration shaft. In the 1960s it passed to Queensland Mines Ltd which drilled it extensively and held it until 1992, when Summit Resources Ltd took over. A drilling program in 50:50 joint venture with Valhalla Uranium Ltd identified a significant deposit which remained open along strike to the north and south and at depth. The mineralisation is hosted within highly altered and mineralised tuff and shale, and includes some vanadium. In September 2006 Paladin Resources took over Valhalla Uranium Ltd. Indicated resources were then quoted as 16,900 t U3O8 and inferred resources 9000 t. In 2007 Paladin launched a full takeover bid for Summit Resources and ended up with 82% of it. Areva bought a 10.5% stake in Summit, blocking the full takeover until late 2018, when minority shareholders agreed to sell. Summit updated the JORC-compliant measured and indicated resource figures in January 2009 to 24,765 tonnes U3O8 (21,000 tU) at 0.023% cut-off and with average grade 0.089% (0.075%U). Inferred resources were 5860 t at 0.08%. It extends to 650 metres depth and along 1100 m strike but remains open at depth to the south. Some (<10%) of the uranium mineralisation is brannerite, which conventional treatment processes do not readily recover. The metallurgy is said to be complex, and as of mid 2013 the project appeared uneconomic. The first uranium mineralisation was discovered at Westmoreland in 1956, by a prospector with a Geiger counter. Late in 1956 the Bureau of Mineral Resources flew an airborne scintillometer survey and recognised anomalies in outcrops of the Westmoreland conglomerate held by Mount Isa Mines Ltd (MIM). Further work resulted in three mining leases being pegged over the Redtree deposit in 1959. In 1967 Queensland Mines Pty Ltd obtained an exploration permit over the area surrounding the MIM-ZC leases and commenced a major drilling program which identified further Redtree deposits and the Huarabagoo deposit. In 1975 Queensland Mines formed a Joint Venture with Urangesellschaft Australia Pty Ltd, Anglo Australian Resources NL and IOL Petroleum Ltd, with the IOL share later being taken over by a CRA subsidiary. In the period 1976 to 1983 Urangesellschaft discovered the Junnagunna deposit while they were managing the Joint Venture. In 1985 Queensland Mines resumed management. In 1990 CRA Exploration Pty Ltd (now Rio Tinto Exploration P/L) entered the Queensland Mines - Urangesellschaft Joint Venture and took over the exploration work with a view to earning equity in the Joint Venture. In 1997 Rio Tinto took over the whole project (it already had a 100% interest in the original MIM-ZC mining leases at Redtree), but relinquished the leases in 2000. The main deposits comprise three mineralised pods adjacent to the Redtree Dyke and flat irregular masses further from it. Grades are 0.1-0.2% and 0.04-0.15% U3O8 respectively, with associated gold. The total inferred resource for Redtree, Huarabagoo and Junnagunna was about 22,000 tonnes contained U3O8 – about half in Redtree. Three other prospects contain further small known resources. The 'copper/gold/uranium' leases were taken up by Tackle Resources after Rio Tinto relinquished them and in August 2004 the rights were bought by Canadian company Laramide Resources for US$ 150,000 plus some Laramide shares. Tackle is now a subsidiary of Laramide. In 2009 Laramide announced that the resource had been upgraded to 16,000 t U3O8 indicated at 0.089% and 7000 t inferred resources at 0.083% in line with Canadian NI 43-101 and JORC standards. These figures were current in 2016. In April 2016 the company announced that its preliminary economic assessment suggested capex of US$ 268 million for an 1800 t/yr open pit mine operation over 13 years. Laramide also has a farm-in agreement with Rio Tinto for two areas in the Murphy Uranium Province along strike southwest in the Northern Territory, one of them adjacent and the other about 120 km west of the border. In 2018 it agreed to buy the adjacent Lagoon Creek deposit in the NT from Verdant Minerals. This deposit, some 50 kilometres west of Townsville, was discovered in 1975 by Total Mining Australia Pty Ltd. Mining leases were granted in 1980 and 1983. In 1994, following the transfer of Total's worldwide uranium assets to Cogema, the company changed its name to Afmeco Mining and Exploration Pty Ltd (AFMEX), which is a wholly-owned subsidiary of Cogema Australia Pty Ltd. In July 1997 AFMEX agreed to sell the deposit to Anaconda Uranium Corporation of Canada for A$ 3 million plus 1% royalty, but due to state government policies Anaconda walked away from the deal after an initial payment. The deposit reverted to AFMEX. A resource of about 6800 tonnes U3O8 with an average grade of 0.228% U3O8 and 4578 tonnes of molybdenum at an average grade of 0.149% has been delineated. A 1982 feasibility study proposed recovery of 4760 tonnes U3O8 from 0.246% ore. Proposed mining of the deposit was to be primarily open cut, but with about one-third of the orebody being underground mined, and with annual production of 500 tonnes of uranium oxide and 250 tonnes of molybdenum. The 1984 Environmental Impact Study was accepted by state and federal authorities, and a water monitoring program is continuing. Development was suspended due to both federal and state Labor Government policy on uranium. Anaconda intended to prepare a new feasibility study on the project based on "a more economic and environmentally friendly method of extracting the uranium", and to update environmental studies. The small Maureen deposit, 300 km inland, was to provide "operating synergy", and joint production facilities were envisaged. AFMEX prepared a revised Plan of Operations covering the final rehabilitation of the site. This plan was to be implemented once all regulatory approval had been obtained, but in 2005 the deposit was sold for $1 million to Uranium Mineral Ventures Inc, a subsidiary of Maple Minerals Corp of Canada. In January 2005 Mega Uranium Ltd agreed to acquire 100% of UMV and in February 2006 the Queensland government approved transfer of the leases to UMV. In early 2008 NI 43-101 compliant indicated resources of 3600 t U3O8 at 0.27% and inferred resources of 1250t at 0.21% were quoted by Mega. The small Maureen uranium deposit near Georgetown in north Queensland was bought in July 1997 by Anaconda Uranium Corporation for $325,000 plus royalties, but in 1998 reverted to its previous private owners. Measured and indicated resources are almost 3000 tonnes of U3O8 grading 0.123% with 0.07% molybdenum as well as fluorite and accessible by open pit. Some $8 million was spent on the deposit in the 1970s. In 2005 the deposit was owned by Georgetown Mining Ltd and in August 2005 Mega Uranium Ltd acquired the rights to the deposit and surrounding mineralised areas. As well as foreign equity in the companies with uranium mines, in recent years there has been increased interest in exploration companies. Some companies active in Australia are foreign-based, eg Uranium One, Cameco and Areva. The following table outlines some recent investment in Australian-based or established explorers, or particular projects, which have credible resources. * Japan Uranium Management Inc (JUMI, comprising Tepco, Toshiba and Japan Bank for International Cooperation). In 2015 Uranium One Australia Pty Ltd was bought back from Uranium One Holding NV and ARMZ by Perth-based Boss Resources Ltd.
** Japan Australia Uranium Resources Development Co. Ltd. (JAURD), acting on behalf of Kansai Electric Power Company (50%), Kyushu Electric Power Company (25%) and Shikoku Electric Power Company (15%). Plus Itochu 10%.